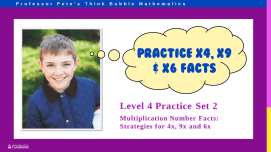 Activities which include just the easiest multiplication and division questions, based on 2x, 3x, 5x and 10x facts. 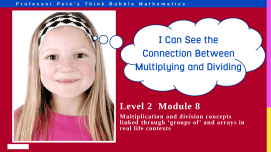 Oral and hands-on activities for introducing the concept of multiplication as “groups of”. Worksheets reinforce verbal activities. Introduction to the written form of “x” as multiplication. Hands-on activities and reinforment worksheets are included. The array arrangement is used in hands-on activities to teach multiplication turnaround facts. Worksheets reinforce activities. Teaching Lesson plan with hands on activities for students. Matching worksheets reinforce activities. Teaching Lesson plan for introducing the term “Division” in a partition form. Includes hands on partition activities and worksheets with division problems. Teaching Lesson plan for introducing the term “Division” in a quotition form. 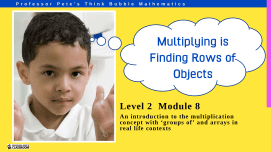 Includes hands on quotition activities and worksheets with division problems. Teaching Lesson plan for introducing the ÷ symbol. Includes a worksheet with some division exercises. 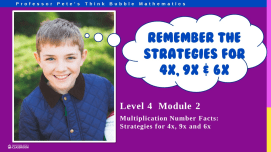 Teacher notes: How to teach the easy times tables with strategies. Contains 2x, 3x, 5x and 10x facts. Teacher notes: How to teach the easy division tables with strategies. Contains ÷2, ÷3, ÷5 and ÷10 facts. “Doubling” strategy for 2x multiplication facts. “Place value” strategy for 10x multiplication facts. “Place value then halve it” strategy for 5x multiplication facts. “Double then add one more set” strategy for 3x multiplication facts. “Halving” strategy for ÷2 division facts. “Place value” strategy for ÷10 division facts. “Relate to 5x facts” strategy for ÷5 division facts. “Relate to 3x facts” strategy for ÷3 division facts. 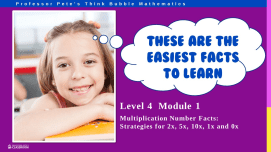 Revision of all Easy Multiplication & Division facts. Record students’ times and scores to see improvement of speed and accuracy.